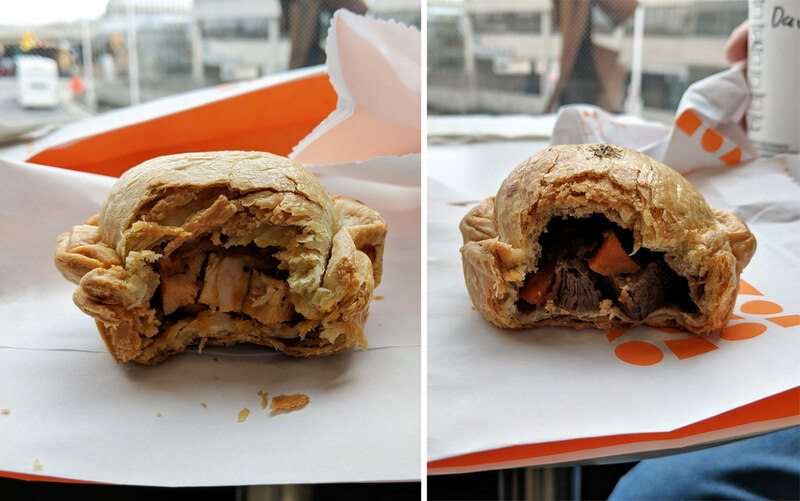 I just got a couple of meat pies from Nadege in Yorkdale — beef bourguignon and chicken basquaise — and they were both fine. they were so middle-of-the-road that I’m having a hard time mustering up the enthusiasm to even write a few words about them, but this is a food blog. It was food. Let’s do this. They both had the same puff pastry crust, which was light and flaky, if a bit dry. Like everything else about these things, it was fine. They heated them up for me, but clearly not enough, because they were vaguely hot in some places, and lukewarm in others. The beef bourguignon had big, tender cubes of beef interspersed with carrot chunks. It wasn’t bad, but nothing about it particularly stood out. There just wasn’t much going on, flavour-wise, and the sauce was nonexistent — it was just dry chunks of beef and carrots. The chicken basquaise had big chunks of chicken interspersed with pieces of peppers (red and yellow peppers, I think? I ate this just a couple of hours ago and it has already almost completely faded from my memory). 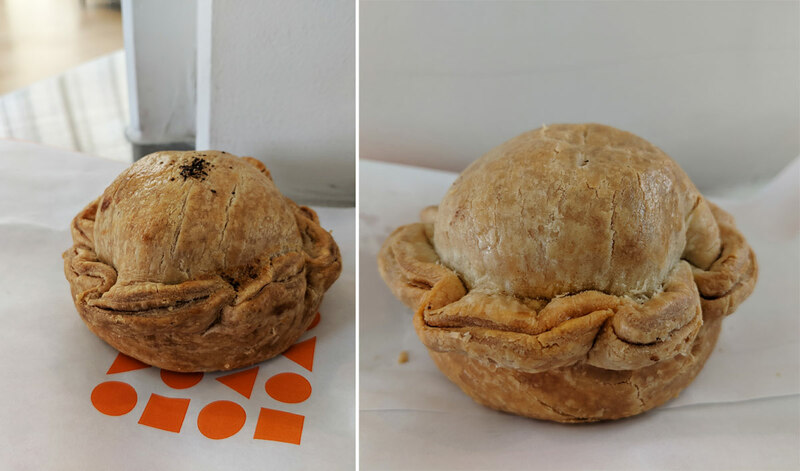 Like the other pie, it was a bit bland. It was also entirely sauce-less, and the chunks of chicken were kinda dry. But it was fine. I know I’ve said “fine” an awful lot, but it’s really the best word to describe these things. By tomorrow they will have both entirely receded from my memory, like they never existed.